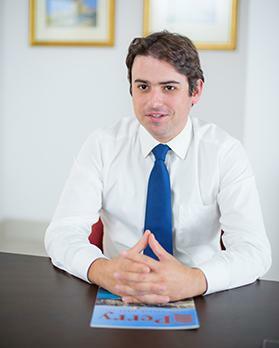 We plan to continue to capitalise on Malta’s healthy property market while continuing to adopt new technologies and methods to best service our clients’ requirements, says Robert Spiteri Paris, managing director at Perry estate agents. We have had an outstanding 2018 at Perry estate agents, as the Maltese property market remains buoyant, underpinned by a strong economy and government incentives. We believe last year’s great achievements are also a reflection of the success of our concentration on strategic investment in people and technology over the past years and is a tribute to the quality of our affiliates. Our clients appreciate the depth of experience and knowledge our property consultants provide. We are also known for our personal approach and unparalleled work ethic, backed by almost four decades of service to the real estate industry. Last year was particularly exciting as we successfully launched Malta’s leading real estate platform for quality property in Malta, www.perry.com.mt, showcasing some of the finest real estate that Malta has to offer, including properties entrusted with us on an exclusive basis. This new portal sets a new benchmark for real estate portals in Malta and is one of our biggest achievements last year. Another great achievement was the publication and distribution of our revamped Perry flagship publication, now in its 57th edition. We doubled the pages in 2018 and our new 84-page publication includes most of our clients’ quality properties and a dedicated page on all leading lifestyle developments besides various interesting articles. By revamping our premier real estate magazine, first published in 1999, we have succeeded in continuing to set our publication apart as a trusted source of real estate information and inspiration to anyone looking for something special as a home. Distributed with The Sunday Times of Malta and at various other key locations including Malta International Airport and leading hotels, the publication is bound to reach everyone interested in property in Malta and therefore serves as an excellent vehicle to market vendors properties. Going forward, we plan to continue to capitalise on Malta’s healthy property market and reach out to more prospective clients while continuing to adopt new technologies and methods to best service our clients’ requirements. 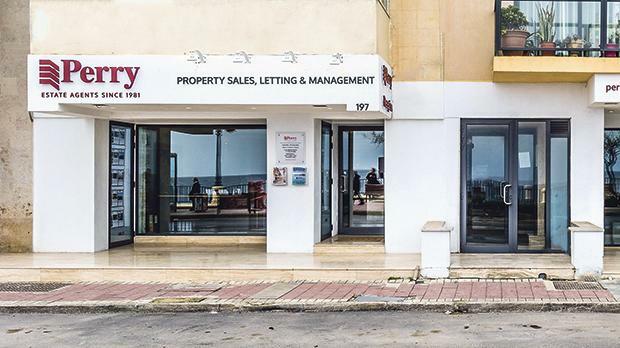 We have been the lead advisors for the acquisition of some of Malta’s most sought-after trophy properties over the years and indeed in recent months and we plan to continue to build on our quality portfolio of property that we are so well renowned for, as a major priority. It is clear Malta is regarded as one of the pre-eminent property investment markets in Europe and our market and the way we do business at Perry, is regarded as the gold standard for investors looking for a safe haven for their capital. Our primary goal is for our established residential and commercial sales and lettings departments to remain at the forefront of the quality property industry and to ensure that we continue to offer the best advice to clients from around the globe who are looking to invest or simply settle in Malta. The key challenges for the company include ensuring we continue to deliver quality in everything we do and that we keep up to date with the latest trends in our market, allowing us to continue to offer market leading advise to clients. We live in rapidly changing times and realise that a major challenge is to continually identify and adapt to new marketing channels and invest and use new technologies in our clients’ best interests, this philosophy is what has led to Perry’s major investment in IT systems and technologies. As technologies change it is vital to continue innovating to be able to offer a superior service at every level. Keeping abreast with such changes and maintaining our reputation as one of Malta’s longest established and most trusted real estate companies by also continuing to invest in the right people to represent our brand has always been key to us and will continue to be so in 2019 and the years ahead. Our ability to prepare for and embrace change has kept us at the forefront of the vibrant and rapidly changing Maltese property market for almost four decades. All indications point to 2019 being another strong year for the local real estate market. There are various reasons to expect this. Malta has had a consistently strong market over the past years, however recently the rate of house price growth has left other European cities trailing in its wake. It’s an exciting market characterised by quick sales and high competition for properties. A key factor underpinning recent price growth is the imbalance between supply and demand. Malta also remains relatively affordable, you still get a lot for your money, prices remain lower than many other European cities. While there has been stagnation in other European markets with prices reaching the limits of affordability, Malta is still some way off this point, with more room for prices to rise, we are confident that the current upward trend in Malta house prices will continue in 2019. Putting market factors and government incentives aside, another reason for Malta’s property surge is its increasing popularity as a place to live generally. When it comes to quality of life and safety, Malta ranks in the top places, worldwide. Malta may not be as vast as other destinations yet its small size works in its favour, everything is within short driving distance, add to that a vibrant nightlife and cultural scene, good business links, 300 days of sunshine and proximity to beaches. It’s easy to see why many professionals are looking to relocate to Malta, as are some of the most discerning retirees. 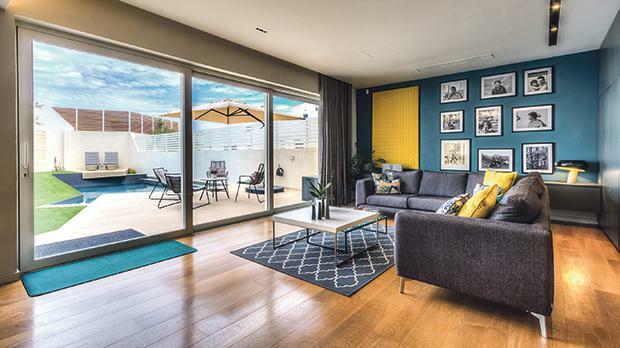 A recent report by the UK Financial Times also highlighted Malta’s healthy property market and concluded that demand seems set to continue at a steady pace with the only constraint being a lack of available stock.